Iranian FM implies US senators pushing initiative to invalidate deal after Obama leaves office 'may not fully understand' the legal system. Iranian Foreign Minister Javad Zarif published a passive-aggressive response to the letter signed by 47 Republican senators against the Iran nuclear deal, Vox news reports Tuesday - implying that the senators are not educated on international policy and even the US constitution itself. "In our view, this letter has no legal value and is mostly a propaganda ploy," Zarif began. "It is very interesting that while negotiations are still in progress and while no agreement has been reached, some political pressure groups are so afraid even of the prospect of an agreement that they resort to unconventional methods, unprecedented in diplomatic history." "This indicates that like [Israeli Prime Minister Binyamin] Netanyahu, who considers peace as an existential threat, some are opposed to any agreement, regardless of its content," he sniped. 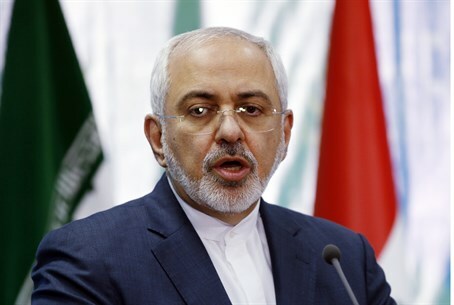 "I should bring one important point to the attention of the authors and that is, the world is not the United States, and the conduct of inter-state relations is governed by international law, and not by US domestic law," Zarif continued. "The authors may not fully understand that in international law, governments represent the entirety of their respective states, are responsible for the conduct of foreign affairs, are required to fulfil [sic] the obligations they undertake with other states and may not invoke their internal law as justification for failure to perform their international obligations." Referring to the 2016 presidential elections, he added, "change of administration does not in any way relieve the next administration from international obligations undertaken by its predecessor in a possible agreement about Irans [sic] peaceful nuclear program." "I wish to enlighten the authors that if the next administration revokes any agreement with the stroke of a pen, as they boast, it will have simply committed a blatant violation of international law." "Their letter in fact undermines the credibility of thousands of such mere executive agreements that have been or will be entered into by the US with various other governments," he added. The letter, written by freshman Senator Tom Cotton and signed by the Senate's entire Republican leadership as well as potential 2016 presidential contenders Marco Rubio, Ted Cruz and Rand Paul, warns Iran’s leaders that any nuclear deal they sign with US President Barack Obama will not be valid after he leaves office in 2016. The Obama administration has blasted the letter as "ironic" and a ploy to side with hardliners.